Oh hello there gratitude journal! I have missed you! I just went back and checked and my last post was over a month ago. Not too great—since I am really trying to focus on gratitude this year. Instead of re-hashing all of the minutia from the past month, I’ll just start here, with the now. Today I am off (yay! President’s Day!) and it is giving me just what I need to get up to date with the blog, the business, the kids and the bills. Luckily, I paddled yesterday with some friends and was able to focus on me for a bit. We spent Friday and Saturday in Orlando, for Nova’s gymnastics meet. 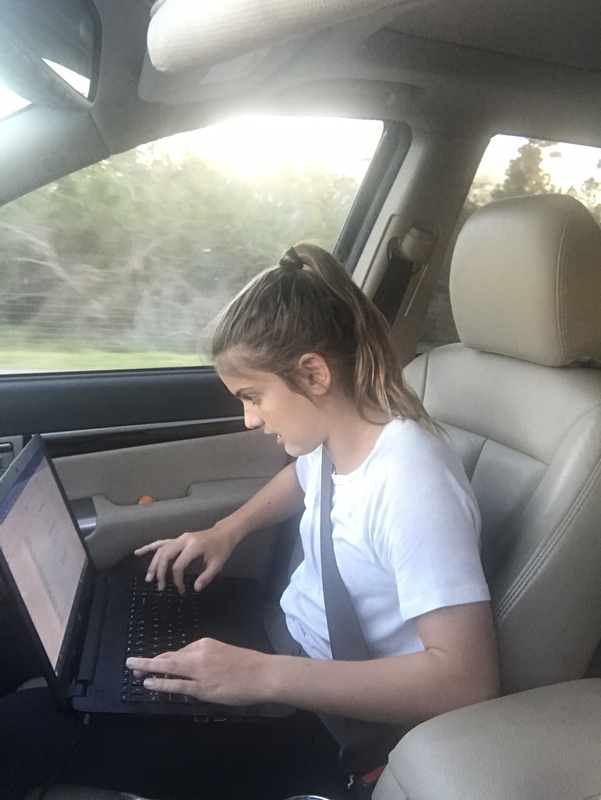 Nova was cramming to finish school work on her way there. She has a heavy load this year with 7th grade at a really high stress school, track, gymnastics, and of course, guitar practice. 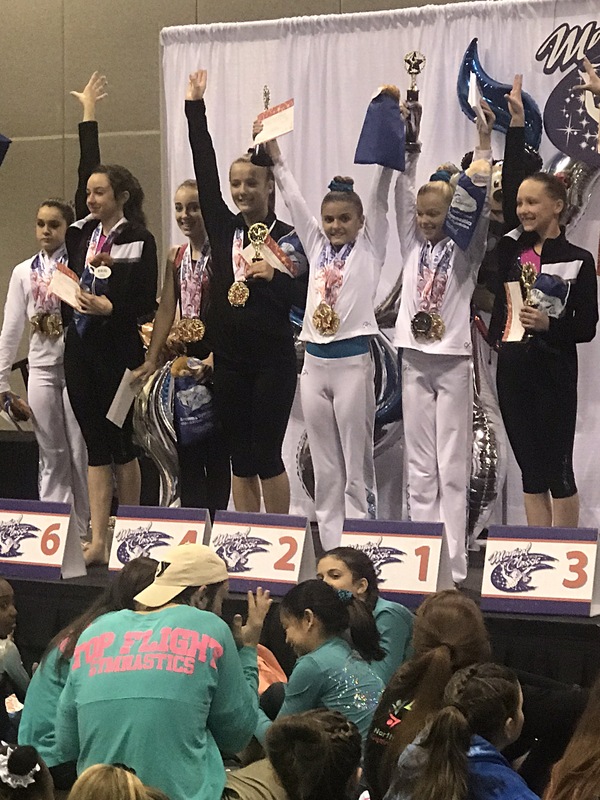 We got to stay at one of my favorite Orlando hotels, the Hilton Orlando–had fun with friends and then she had a great meet, scoring her highest ever on beam (9.700) and smashing her goal of hitting at 37.00 (her all around score was 37.425. She was thrilled to take 2nd All-Around to her good friend Sydney. It feels so good to watch her shine and reach her goals. 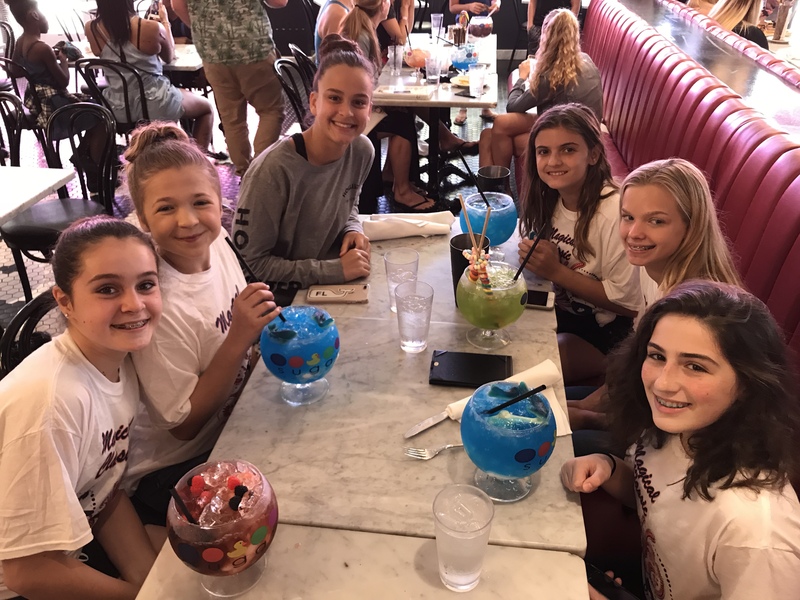 After we went to The Sugar Factory–which is basically heaven for teen girls. 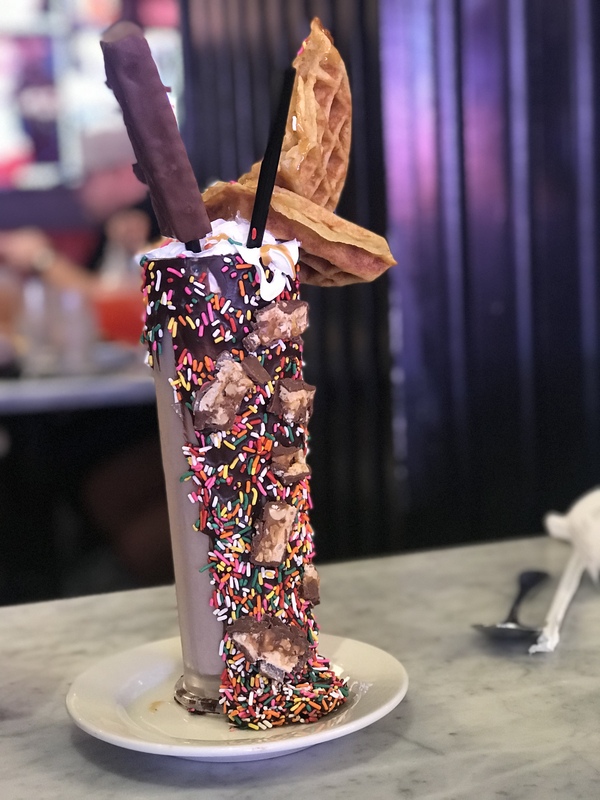 It is loud (lots of good music) and the menu overflows with sugary treats. I am continuing with the Whole 30 (until the end of April) so I didn’t indulge but the girls did a good job of it. 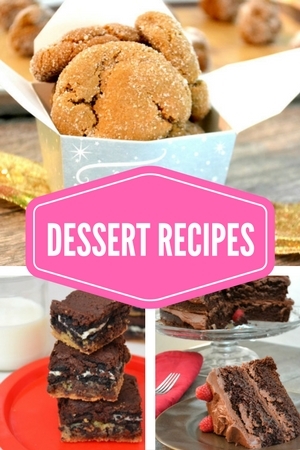 Just seeing those treats on the table was enough of a sugar rush for me. 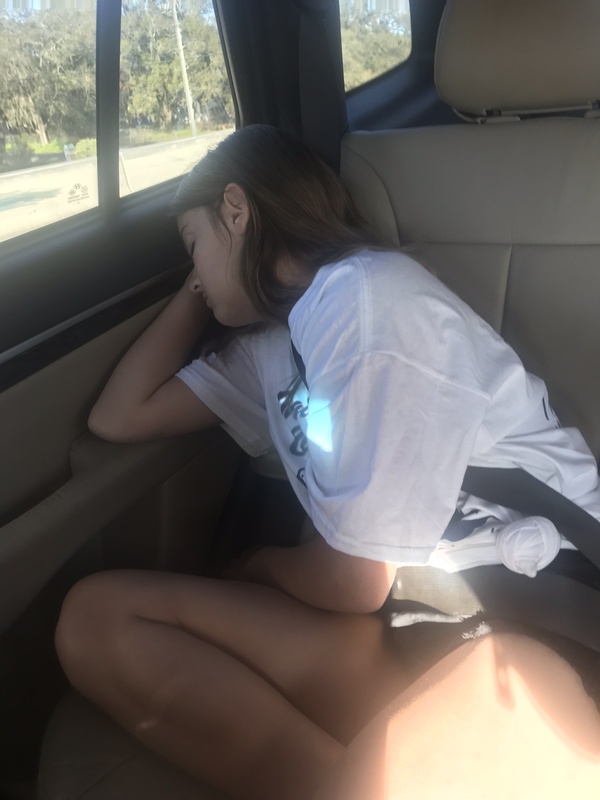 The girls had a great time and then Nova crashed in the car on the way home, saying, “I don’t know what is wrong with me, but I just can’t keep my eyes open.”….Ahhh….the effects of huge amounts of sugar on her little body. Luckily, after a long nap, she woke up and felt just fine. I love all of the adventures I get to have with Nova because of gymnastics. It is such a fun sport and I love that we get to travel with the other moms and daughters, love to see Nova so disciplined and motivated, and I love to see all the girls compete. I need to remember to have gratitude for those things in the moments of irritation with driving her to practice, paying tuition and trying to fit it all in. I read something recently that said, “Someday, you won’t have someone to drive to practice,” and it makes me want to savor all of the moments we spend living, breathing gymnastics. I wish we could focus a bit more on Sawyer’s surfing and I am working on a plan to make that happen.